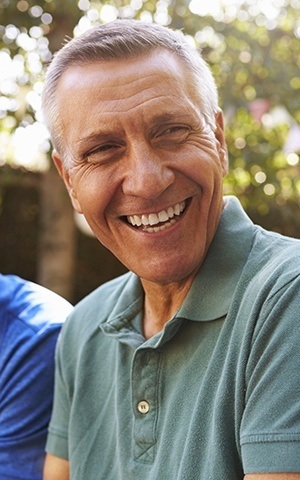 If you and Dr. Jorgenson have decided that dental implants are best for you, then you are on your way to abandoning the frustration of missing teeth and enjoying the benefits of the most natural-looking and natural-performing tooth replacement. A dental implant is a small titanium post that is strategically positioned in your jaw to support a tooth restoration, such as a porcelain crown or dental bridge. To have a dental implant, you must have adequate jawbone to secure the post. However, if that bone is too thin or too soft, then you may need Dr. Jorgenson to perform bone graft surgery. Also called bone augmentation, this procedure builds bone so you can safely receive dental implants. Adding or grafting bone—whether it’s your own bone tissue harvested from another area of your mouth or body or bone from a cadaver or cow—can increase the width and depth of bone in your jaw. Why Choose Advanced Dental Care for Bone Grafting? More often than not, a patient wanting a dental implant arrives at our office and has had one or more teeth that have been missing for some time. 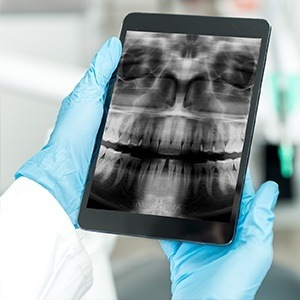 The problem is that if a tooth has been missing for a long time, then chances are the surrounding bone tissue has deteriorated to the point that there is no longer enough bone to secure an implant. In this case, harvested bone tissue can be used to build up the lost bone. Dr. Jorgenson will administer a local anesthetic to the site where additional bone tissue is needed. Then, a small incision is made at the point where the dental implant will be placed eventually. Harvested bone tissue is added to the site and held in place with small titanium screws. A membrane is placed over the graft and the incision is closed with stitches. As with any surgery, you can expect some discomfort after your bone graft procedure. Dr. Jorgenson will give you a prescription for pain medication, as well as an antibiotic and an antibacterial mouth rinse. For a while, you’ll need to avoid putting pressure on the site. Typically, a bone graft requires six to nine months to heal. Then, you’ll be able to return to Advanced Dental Care to begin the process of getting a dental implant. If you would like to have dental implants but need bone graft surgery first, then contact Advanced Dental Care today. Dr. Jorgenson is highly qualified and now delivering quality dental care daily throughout Irvine, Newport Beach, Huntington Beach, and the surrounding Orange County, CA communities.